When most people think of bankruptcy, they imagine a situation where a court swoops In, takes all their assets, and leaves them with little or nothing. I'm happy to report that reality is much different. But,that is the classic view of what we call a Chapter 7 straight bankruptcy case. 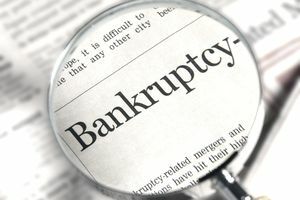 You can read about it here: What is Chapter 7 Bankruptcy? Chapter 7 is not the only type of bankruptcy available to us. There are five in all. You may have heard of Chapter 11, which companies often use to reorganize their debts. Or, a Chapter 9, used by municipalities like a city or a public water utility to reorganize its debts under the protection of the bankruptcy court. Or even a Chapter 12, available only to farmers and fishing operations. There is another type of bankruptcy that individuals use to reorganize their debts. This type is called Chapter 13 bankruptcy. Unlike Chapter 7, Chapter 13 does not involve liquidation. Usually, a Chapter 13 debtor (that 's what we call people who file bankruptcy) is permitted to keep all of his property, whether it is exempt or not, as long as the Chapter 13 plan complies with the law. Chapter 13 may also involve more expense than a Chapter 7 in terms of attorney's fees, as the process is more complicated and drawn out. Chapter 7 is a comparatively brief process, and usually only lasts four to six months before the court issues the discharge. On the other hand, Chapter 13 bankruptcy will last from three to five years, the length of a monthly payment plan you propose to the court to pay certain debts. The plan period will vary from three to five years, depending on your whether your family income is generally above or below the median income for your state of residence. The Chapter 13 plan, or simply the payment plan, is the heart of a Chapter 13 case. Chapter 13 is an attempt to "reorganize" a your debt over time. It's a great tool for the debtor who is behind in house payments or car payments. Those payments can be caught up with the payment plan over time, thereby saving the house from foreclosure or the car from repossession. The plan will also include any past due priority claims, like alimony, child support, or recent income taxes. The Chapter 13 plan can also include payments to unsecured creditors like credit cards and medical bills. A calculation is applied to your income and expenses to determine if you have any disposable income after all your other obligations are met. You're expected to devote your disposable income to your plan payment, and that extra money will be used to pay unsecured creditors like those credit cards and medical bills. If you have no disposable income, that's okay The debts will still be discharged because you've devoted your best effort to paying your bills through Chapter 13. The Chapter 13 plan must meet several tests in order for it to be confirmed or approved by the bankruptcy court. First, the plan must be proposed in good faith. This means, essentially, that you intend to completely follow through on the plan and is are attempting to misrepresent your finances or perpetrate a fraud on the court. The plan must also meet the "best interest of creditors" test. This test requires that the Chapter 13 plan must pay unsecured creditors at least what they would have had under a Chapter 7 bankruptcy. In many cases, the unsecured creditors would have received nothing in Chapter 7, so this test can often be easily met. The other test is called the "best efforts" test. The best efforts test requires that the Chapter 13 plan pay unsecured creditors a certain amount multiplied by the debtor's disposable income. Similar to the Chapter 7 trustee, the Chapter 13 trustee acts as the main point of contact for a debtor. The trustee will review the proposed payment plan and has the authority to challenge the plan in bankruptcy court if he or she believes that it is improper. If the Chapter 13 plan is confirmed by the bankruptcy court, the trustee acts as an intermediary between the debtor and creditors receiving payments. Specifically, the debtor makes payments each month to the trustee. The trustee then divides up the payment, as established in the Chapter 13 plan, and issues payments to the creditors. Chapter 13 bankruptcy carries with it a few restrictions which are not present in Chapter 7 bankruptcy, the monthly plan payment being the most obvious. In addition, you will not be allowed to incur any more debt, like a car loan, without court approval. You must also maintain insurance on any collateral, like collateral for a car loan. Similar to a Chapter 7 bankruptcy, at the end of the plan, most or all of your debts will be discharged. You may be left with debts that are not discharged, like student loans. As in Chapter 7, the Chapter 13 discharge is personal, meaning that if there is someone who is also obligated on one of the discharged debts, he or she is still liable for the debt. Why Do So Many Chapter 13 Cases Fail? What is a Bankruptcy Rule 2004 Exam? How Soon Can I Qualify for a Mortgage After Bankruptcy?